Is homework ruining your life? Are you fed up with homework taking over your weekend? Do your parents and teachers nag you to complete your homework? Well, worry no more! We have the perfect solution for you . 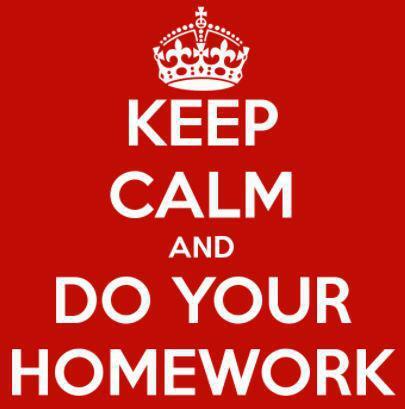 . . come to Homework Club on a Friday afternoon at 3.30 pm to 4.15 pm and claim your weekends back! Homework club provides you with a perfect opportunity to complete your homework under the expert guidance of the Headteacher . . . what more could you ask for?! Places are limited so don't delay, sign up today!